Just invite me in 1 to 1 project and you will be satisfied. "Picasso Is an amazing artist. Out of near 400 submissions his stood our right away and we had zero design revisions for him. He read our brief and delivered exactly what we wanted. Couldn't have been easier. He provided us with a unique yet classy busin..."
"Great work as always! Thank you "
"Excellent work as always...patient and easy to work with." 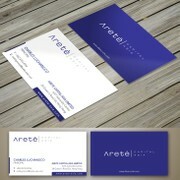 "We conducted a 99Designs contest for a new business card layout for our firm. Out of a field of more than 250 submissions, Picasso's work stood out immediately. The designer initially kept to the suggested examples closely (as we had requested), while ..."
"Great design, and fantastic communication! " "Always does a great job. Very Fast"
"Great work. Very good designer"
"Picasso's designs right away stood out from the other designers. All changes were made quickly with a lot of different flavor to choose from. We were extremely pleased with Picasso as well as the entire process." 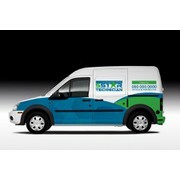 "Thank you for a nice design and quick response!" "Thank you for working with me." "Another amazing job completed! Thank you Picasso. " "Another amazing job by Picasso! He understands my vision and brings it to life. My go to designer for sure." "Fast & easy to work with. " "Amazing designer. Always willing to work hard and provide a good work product." "Very good work. Very fast and patient with changes." "We loved working with you on this design, your ideas were great and your quick replies and understanding for what we wanted was appreciated. Will work with again if needed. " "This designer is great! I highly recommend them to anyone who wants original design, fast and professional design services." "Amazing designer who is professional and work very fast." "Very good designer. I enjoy working with him because he's always up for a new challenge and works very quickly. I highly recommend." "Very good work and very fast. One of my favorite designers to work with on the site." "Amazing designer. We have worked together several times and he is always quick and takes direction very well. He is also super creative and nice to work with." "Very good design in a very tight timeline "
"Always very fast and very high quality work. " "Great experience working with Picasso. 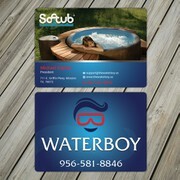 He was very responsive and accommodating to refine the business card design that I needed. There were other good designs competing, but Picasso internalised the brief very well and came out with my winning design. ..."
"Great as usually. Very fast and professional." "This was my first 99designs experience and I am blown away with Picasso. Right from the beginning he nailed my vision and then worked with me from there to fine tune it. He was definitely the front runner for the life of the contest sand I even ended it..."
"Picasso's design really stood out. He made good use of empty space to create effect and has a good eye for using fonts to make his designs stand out from the rest." "Excellent designer, iterates very well based on feedback and has a great eye for professional design. " "Picasso was excellent to work with. He provided a bunch of design options, adjusted the work according to our request, and was one of the most creative designers to submit ideas. Would definitely work with him again. Thanks Picasso!" "Another tremendous experience with 99 designs. What an invaluable service you guys provide. The designer Picasso was extremely helpful and talented. Made changes when asked in a timely manner, a pleasure to work alongside during the project." "Amazing designer! Creative and great to work with. " "Hit the design brief first go... great work !" "Did a GREAT job for us on our cards. Highly recommend Picasso's work. " "VERY pleased with the final design. I had some specific changes I wanted and I felt that was understood and executed well. THANK YOU! " "Very happy and content with the final product. Thank you"
"As always, Picasso is quite skilled, efficient, fast and easy to work with. " "Great job. Delivered what we asked for and was very responsive to changes." "Picasso is fast, easy to work with and extremely skilled designer. We are very pleased with the results." "I had a fantastic experience working with 99designs! Picasso was so amazing to work with! I absolutely loved the design that was created for me and I really appreciated the constant feedback I had with this designer. 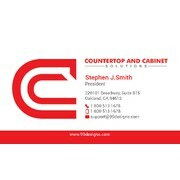 Even though we were working online t..."
"One of the best designers here, flexible, fast and courteous!" "Picasso, great work! Thank you for being so creative and responsive. Very much appreciated. Matt"
"Picasso did a fantastic job designing my signature. I will work with him again." "Picasso designed a very attractive business card for me. I posted two changes in regards to content. He made the changes and I am very happy with the end product." 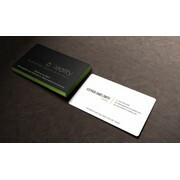 "Great job on the business card design. Great communication and very creative!" "Job well done. We made many changes along the way. He did them quickly & well. Thank you for the hard work." 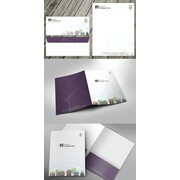 "Beautiful, creative, professional design. Very responsive to suggestions. Thank you. " "Mountains gave us many great designs, and was very responsive in adjusting to our feedback. Would recommend!" "Fantastic! Very creative and open to direction. Highly recomended"